Blockchain and Bitcoin: two of the trend topics for 2018. 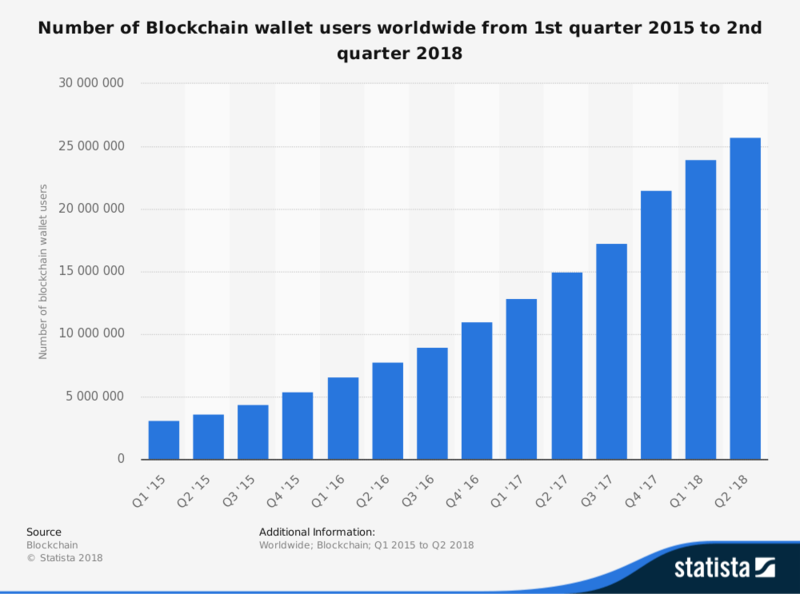 The hashtag #blockchain on Twitter is often one of the top daily trends And, even if everyone is talking about it, it is still not a commonly used technology. We think it is very important to clarify the difference between Blockchain and Bitcoin. Even if these two words are often closely associated, they are not the same thing. Blockchain is a technology used to exchange data and information in a digital and encrypted format. Bitcoin is a currency (one of many) created using Blockchain technology, which is why it is called cryptocurrency. The Blockchain system is not a technology to be used exclusively for financial and monetary transactions, essentially it enables encrypted transactions of any type of data, such as word documents, contracts, images and videos. There are profound differences between this technology and the traditional exchange of data peer-to-peer via email, server or client. Blockchain is an open source system, i.e. an open system composed of more subjects that regulate the transactions, substituting the traditional intermediaries like banks in the case of financial operations or legal institutions in the case of contractual obligations. The mechanism for the transfer of information within the Blockchain system is explained perfectly in the article Explain Bitcoin like I’m five. Every single transaction is verified, authorised, and registered in a digital “master file”by each member of the chain (so called “nodes” or “miners”). The transactions are provided with a public encryption key accessible to all members along with a private encryption key that, even if the community has access to the transaction (contract, agreement or monetary exchange) and its validation, guarantees the privacy of the contracting parties. The note is made up of a series of encryption keys and identification codes of each single transaction. All files and transactions are linked together by identification codes that allow the entire chain to be reconstructed by keeping the blocks connected to it. The meaning of the chain is explained below: each transaction is linked to another and as such you can access, at any time, completed documents and transaction, without being able to modify or change them. Modifications are subject to the authorisation of the whole community, and as such the data is protected from possible hacking via one of the nodes. The Blockchain technology offers various advantages including; the absence of institutional intermediaries to control relationships, the speed of the transactions, the traceability of the documents and the certainty of their authorship. The theme of the relationship between Blockchain and translation activities starts to be discussed in the debate on new technologies in the field of linguistic services. The impact of introducing a similar new technology into the sector of professional translation could bring about historic changes. Copyright. As mentioned before, the introduction of an open technology, both participatory and controlled, can put at end to, once and for all, the subject of the authorship of the translation. We have previously dealt with the problem of the relationship between the translator and the legal ownership of the translated text, mainly in the editorial field. The open sharing of documents and the absolute traceability of information guarantee the digital identity of the source and the recognition of the translator’s work. Direct payments Through avoiding the intermediaries of credit institutions, payments are managed directly by clients and suppliers with the supervision of the collective that makes up the chain. Feedback. In the presence of a collective, and of a system to control information, it is possible to trace all feedback left by contracting parties. In this way, opinions on the quality and cost of the service are extremely reliable and can be subject to verification at any time through accessing the documents. Despite the various advantages of block technology, many people are still reluctant to adopt Blockchain transaction systems. Banks have been exhibiting their doubts on the security of the system and the risk of fraud, with some financial institutions conducting surveys on blockchain and cryptocurrency. Consumers, for their part, are still trying to understand the system and its implications, which undoubtedly are not easily intuitive. Therefore, it is unlikely that there will be a mass conversion to Blockchain technology, although in the case of cryptocurrency and smart contracts, significant progress has been made. Intrawelt continues to adopt data and information protection methodology in line with the international ISO 9001 standard. We are equipped with antivirus systems, secure servers, backup systems and cloud technology from the latest generation which enable us to guarantee maximum protection. Thanks to our project management system, eGetrad, we can also provide our customers with a web-based interface where they can easily communicate with our project managers at any time. Our eGetrad portal allow users to request quotations, place orders, attach necessary documentation, analyse service statistics, receive and view invoices and payments, all while maintaining maximum security. Follow our social media pages Facebook, LinkedIn, Twitter and Instagram to see our updates or contact us using the following form to request information on our services.